If you have considered sending your child to a private tutoring center, prepare to do some research. Did you know these centers offer 1 tutor per 20-30 students. One instructor can have their attention to split amongst 30 students. They cannot give your children the one-on-one attention he or she deserves. Your child moves with the class. Whether the class is moving too fast or too slow, does not matter in this setting, and sometimes, your child can slip through the cracks altogether. Don’t let your child be lost in another classroom. 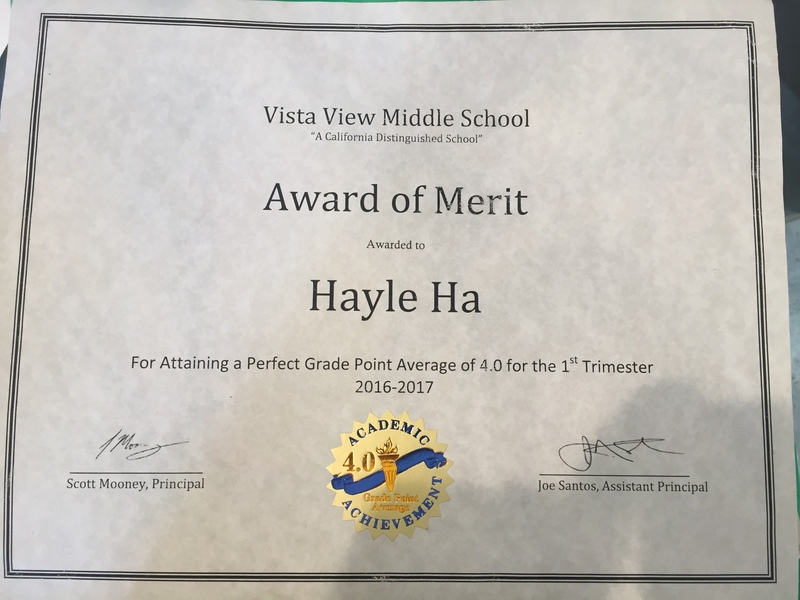 Hayle is a 4.0 student at Vista View Middle School who has been spending 8 hours a week with me since September 2016. One-on-one tutoring with me will ensure that your child is always learning at his or her own pace. The lessons will never go too slow or too fast. I also tailor the curriculum to help your child learn best. All students have their weak points, and their own interests. Working one-on-one ensures your child’s weaker points are addressed, and your child’s intellectual interests are fed. Westminster and those in surrounding areas are also the ideal locations if you are looking for a tutoring center in the area. What if it was easier than than finding a center near you? Now the tutor can come to you. We can set up a schedule where I meet with your child multiple days a week at a set time, but I will also be available at other convenient times if you need to substitute sessions or change them completely. I also offer competitive pricing as well as packages for families with more than one child, and for add-on classes to your package. I understand most parents work and may leave your children in the care of family members during the day. Fear not, for I am also fluent in Vietnamese and will be able to work well with your child’s caretakers if they speak limited English. Hannah is a 2nd grader who reads at a middle school grade level and enjoys writing. 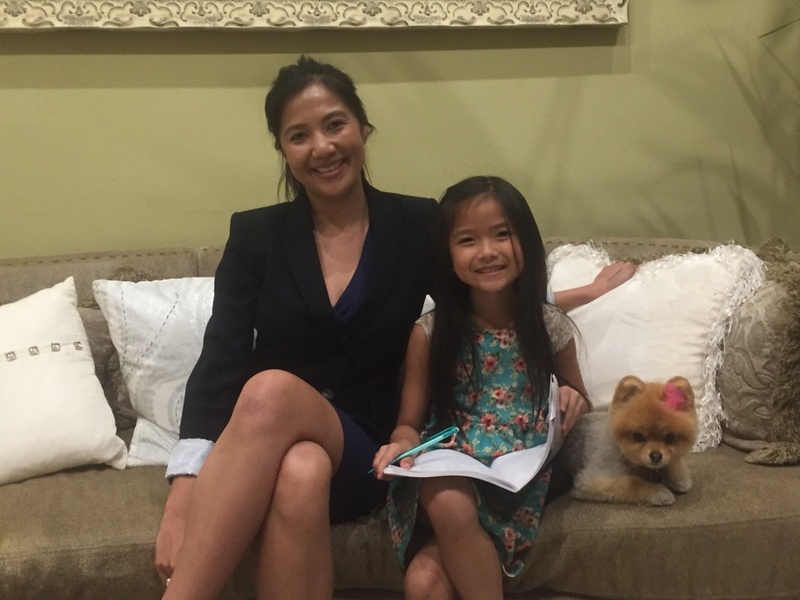 She is professional actress who splits her time between school, acting, and piano, guitar and voice lessons. Chloe is a miniature Pomeranian.